For over two decades, Deborah C. Miller has assisted businesses anticipate and prepare for change, maximizing their productivity. In her role as a consultant Deb has coached business leaders and entrepreneurs, facilitated team development, analyzed production performance, developed software applications, re-engineered work processes and provided invaluable training. 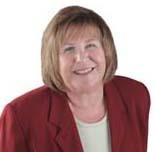 As businesses develop and implement new projects, launch new products and undergo transition, Deb has filled a critical role; improving work processes and efficiency by applying her expertise in “Lean,” “Six Sigma,” and her extensive experience in quality improvement, project management and technical training. implement effective tools while achieving specific objectives in an expedient manner. Deb has served as consultant to small business, large corporations and non-profit organizations in the manufacturing, health care and financial services sectors. Her clients include FXI-Foamex Innovations, Ambassador Steel, Parkview Health Systems and Lincoln Financial Advisors. Check out the Client page for a full list of nationwide clients. Dedicated to helping organizations position themselves for the future Deb offers her skill at identifying and implementing key objectives while transforming the work environment and staff in ways that increase productivity, encourage creativity and help shift organizations from imitation to innovation. Deb is available for keynotes, seminars, workshops, teleseminars and individual coaching. Use the Contact page to discuss your organization’s project needs.